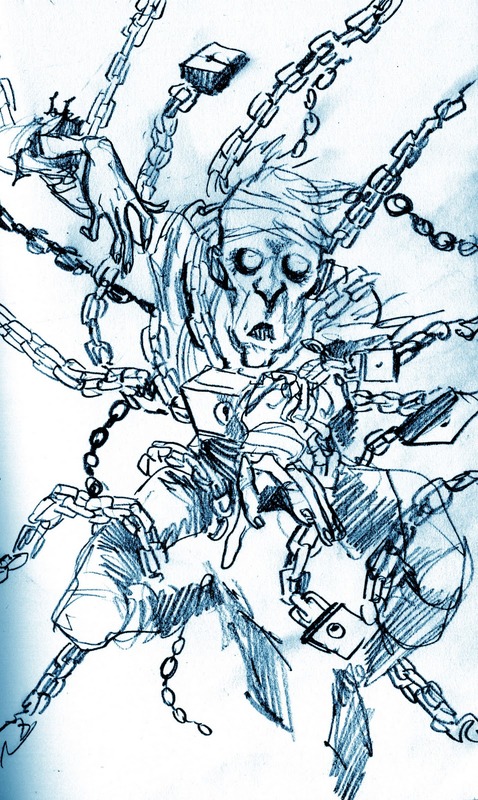 Speaking of Tim, it initially surprised me that, given his artistic proclivities, he did not choose to draw ol' Jacob Marley here himself. Seemed right up Tim's alley, subject-wise. About 30 seconds into drawing all those chains I realized why Hambone passed. Here I thought you may do the "Muppets" Christmas Carol. Like those chains. By the Hoary Hosts of Haggoth! "She sells sea shells by the sea shore." Alpha Flight: What the Puck?